Pioneering plans to turn Brighton and Hove into a focal point for health enterprise and innovation have received support from Greater Brighton. Organisations and companies also backed the initiative. 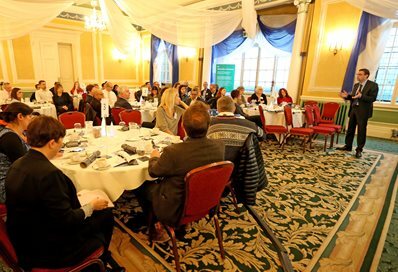 Professor Matteo Santin, Academic Lead for Healthy Futures, said: “The first meeting with businesses and organisations proved a great success and I am grateful for all those who attended. I am impressed by the wide range and number of social enterprises, charities, biomedical and digital start-ups and SMEs and large pharmaceutical and diagnostics companies located in our city and surrounding areas. Two further entrepreneur cafes will be held in 17 April and 28 June 2019.